Yeah. It was a stretch to try zippers then... I had to make one additional pouch cause the zipper didn't work right on one of them. :-} Not sure why I haven't made any since then. :-) Glad you like yours! Very cute. 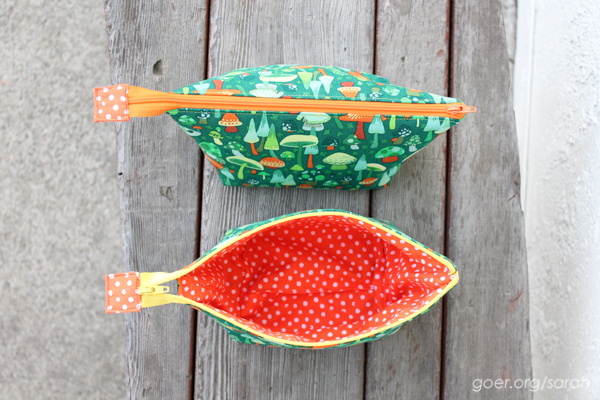 I love that open mouth pouch pattern - so much fun to make! Thanks, Laura. 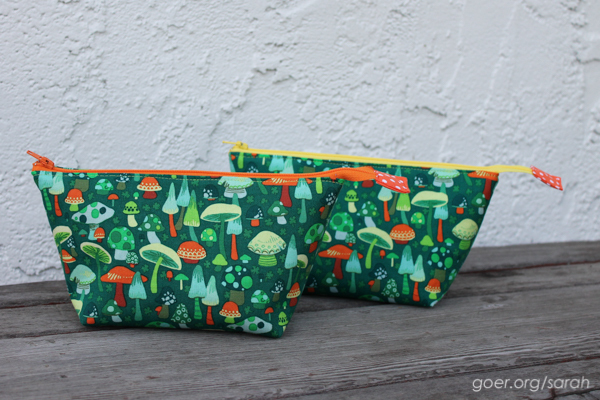 I just got up my post about my other two pouches. Just adorable! I'd treasure one forever. Super cute! Love the colors. My little guy wants one made with Iron Man fabric. Guess little boys need zipper pouches too! They absolutely do! Thanks for visiting. 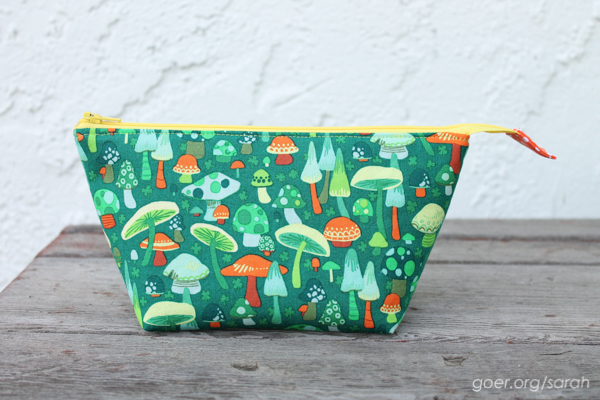 That toad stall fabric reminds me of the pincushion for the smurfs!